The luxury yacht everybody dreams of available at the Adriatic sea everybody longs for. The Mondial 54 is constructed to provide maximum comfort and safety at sea in all weather conditions and provides the highest specification for a 20 meter yacht: spacious salon, large cockpit with platform, three cabins, skipper cabin and an abundance of quality. You can rent this luxury yacht starting from 12,500 €/week. The Adriatic Sea or Jadran (the Adriatik, Adria) was named after an ancient port in Italy named Adria; owing to activity of geological factors in the past, today the port of Adria is located 38 kilometres away from the coast. The Adriatic Sea is a sea situated between the Balkans and the Apennine Peninsula. It is famous for its clear waters and magnificent coast (particularly the eastern one) and therefore an ideal destination to spend summer holidays there. The Croatian coast has over 1700 islands, islets and reefs visited by a great number of sailors and other seamen every year. 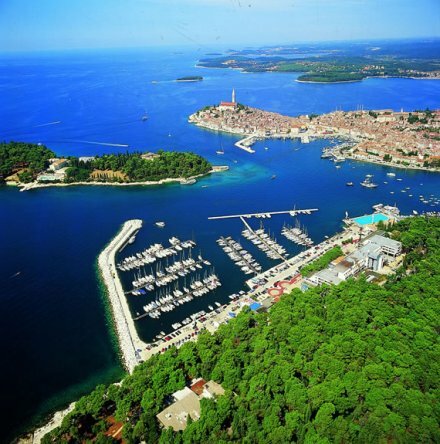 Since the Croatian coast is such a large area offering a wide variety, most of its visitors come back more than once. Many are even coming back each year because the Adriatic coast and the Adriatic Sea are indeed a paradise for holidaymakers. In the Adriatic, there are several starting points for sailors or motor boaters pilots. The most significant ones are Pula, Zadar, Šibenik, Split, and Dubrovnik. Each of them offers wonderful sea as well as rich historic places to be seen, which all adds salt and pepper to the thrill of the never-to-be-forgotten holidays on the Adriatic coast.